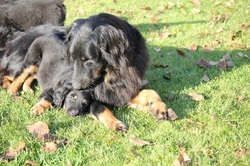 Hovawart puppies of Bajaring in December, 2011. Click here. 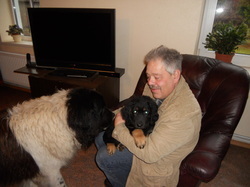 Amoor has first met his new brother. I`m glad to say, that they get on well! Now there are little teeth marks even in the garden . Little ones are going to a "march" by garden trails at least 3 times a day. For some of them it may seem like an adventure full of surprises. Round every corner there is something new. Some would rather stay in the good old ,well known playing-field. But still everyone valorous goes in this "trip". Overall, being outside they like much better that being inside, so convocation back in house is a bit difficult. When you are calling in the last puppies, first ones had allready managed to get back out. 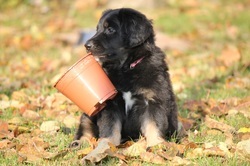 November 7th will go in Bajaring history as a day when a hovawart puppy has reached the second floor of our house. Our little fluffy, for the present called White, managed to overpower the "sature" stairs. But it seems that she is enjoying this "Columbus thing", because now she is in? discovering new ways to get there. 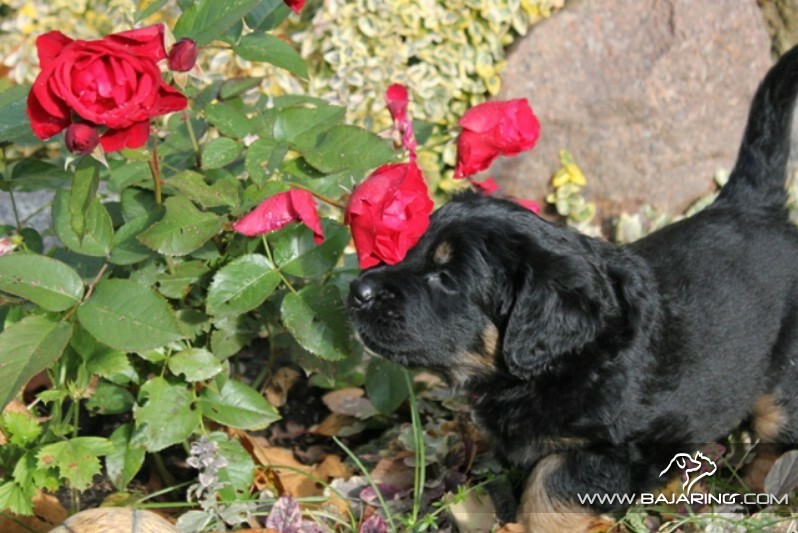 9 puppies were born on the 21th of September 2011 in the FCI kennel BAJARING, 3 males and 6 females .